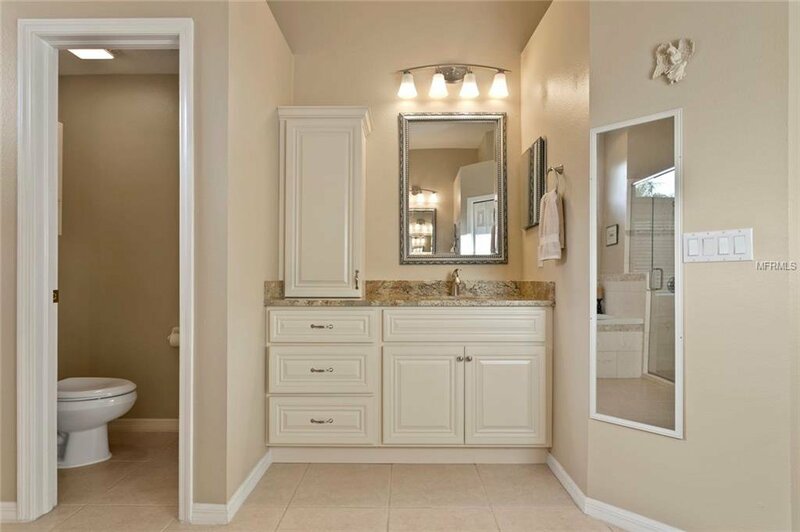 Model Perfect! 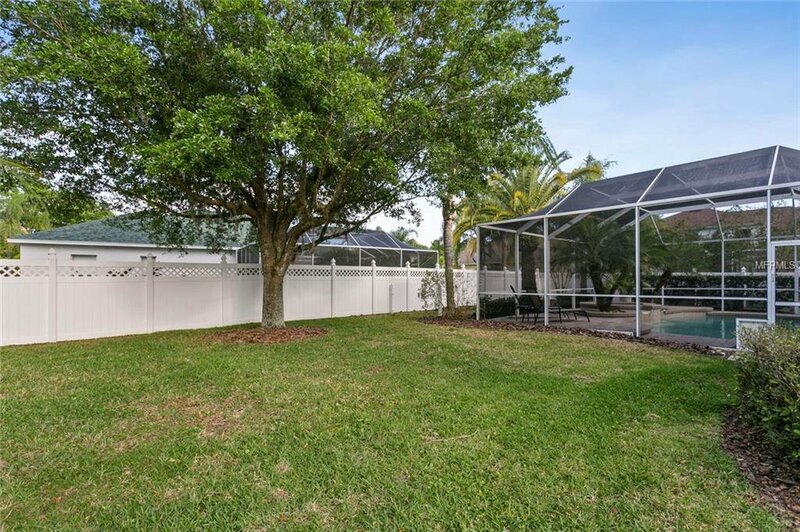 This exciting new listing offers 5 bedrooms, 3 full baths, 3 car garage, large fenced rear yard and an oversized solar heated pool/spa package. 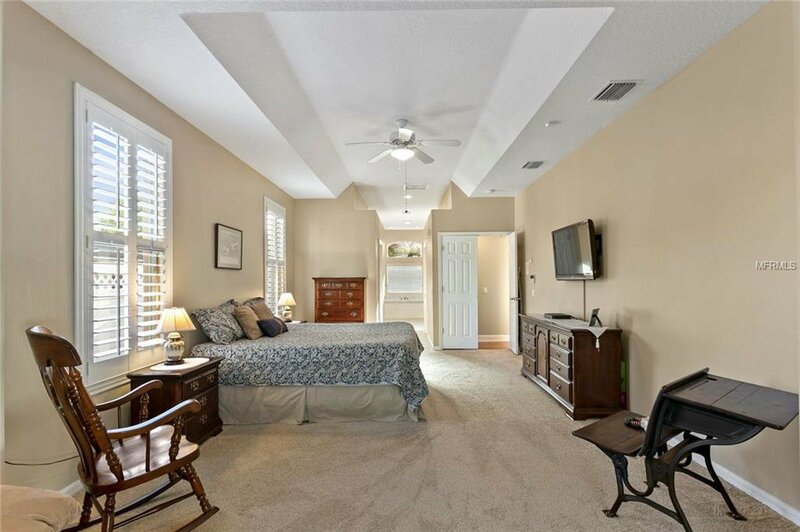 The master bedroom and guest bedroom down with 3 bedrooms up. 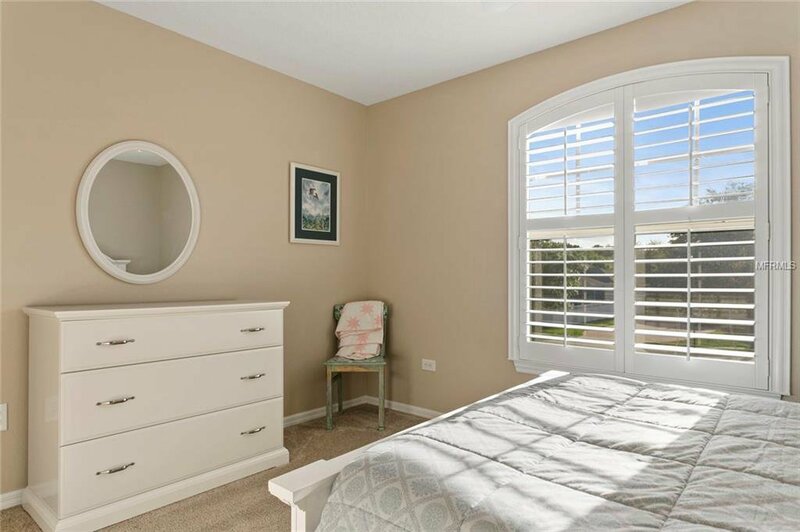 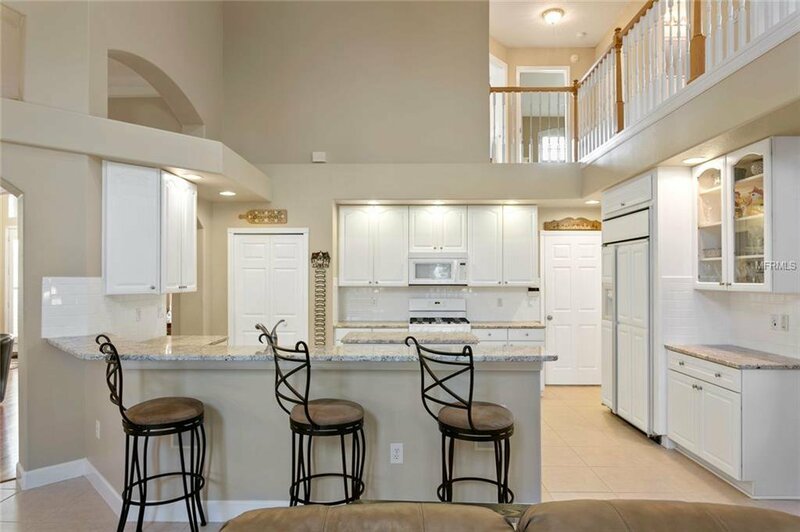 Boasting recent upgrades with the finest designer touches throughout that include a NEW ROOF, NEW WOOD FLOORS, REMODELED KITCHEN, NEW EXTERIOR PAINT, custom built-ins in the family room, professional window treatments, plantation shutters throughout, 5 1/4" baseboards and tankless hot water heater. 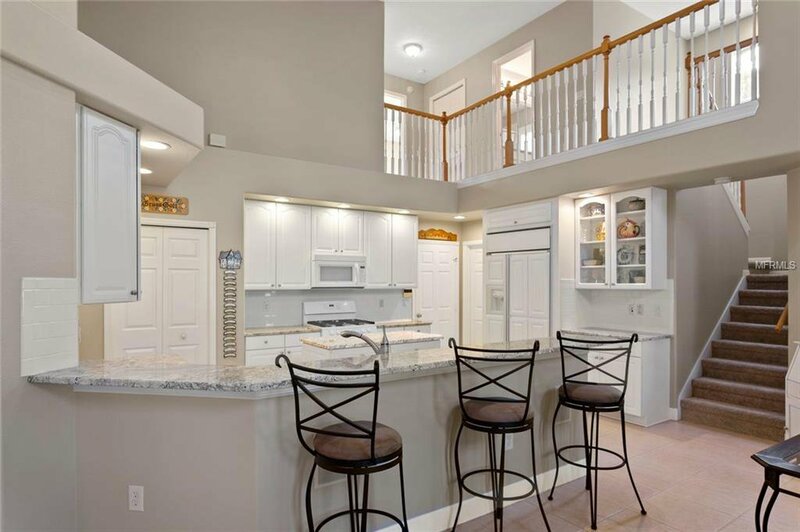 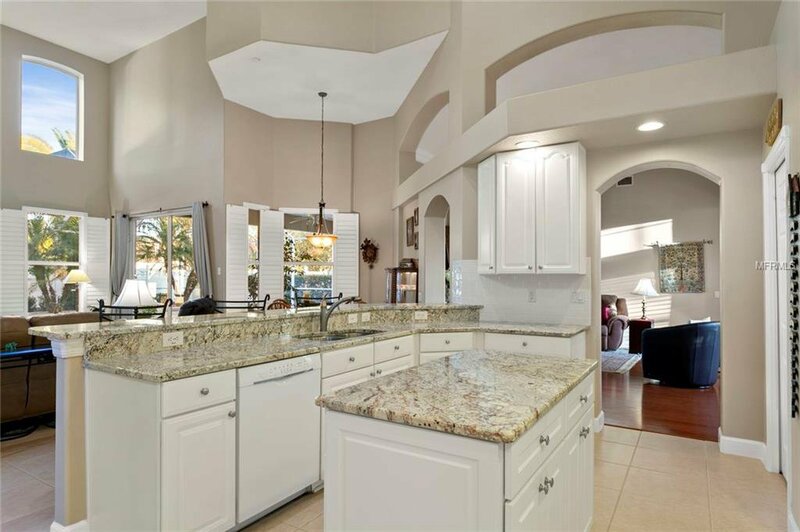 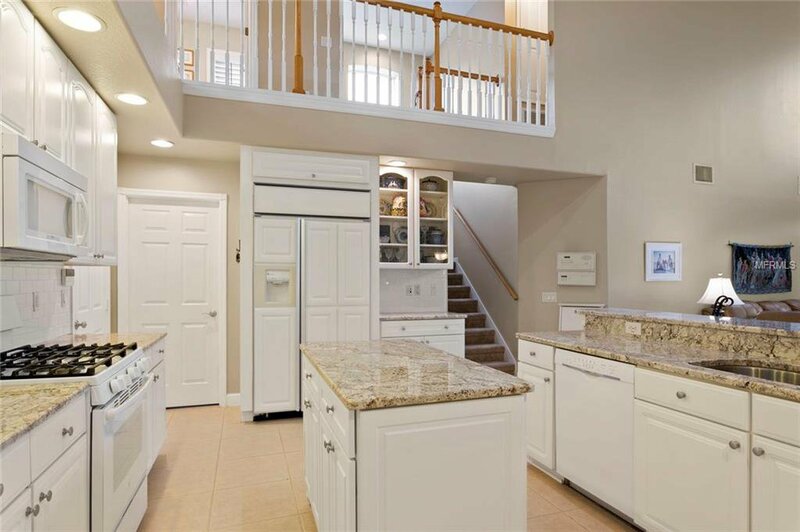 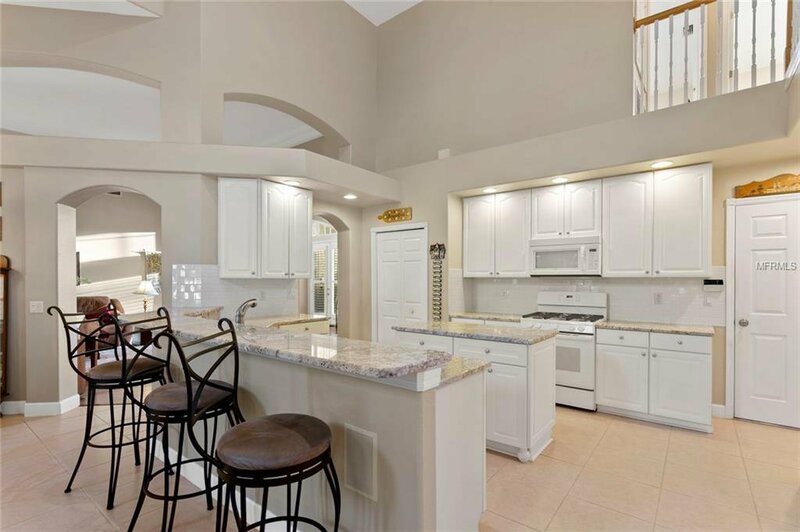 You'll fall in love with the recently updated gourmet kitchen with granite counters, modified with additional cabinetry, sleek white raised panel cabinetry, island with granite counter and side by side built-in refrigerator. 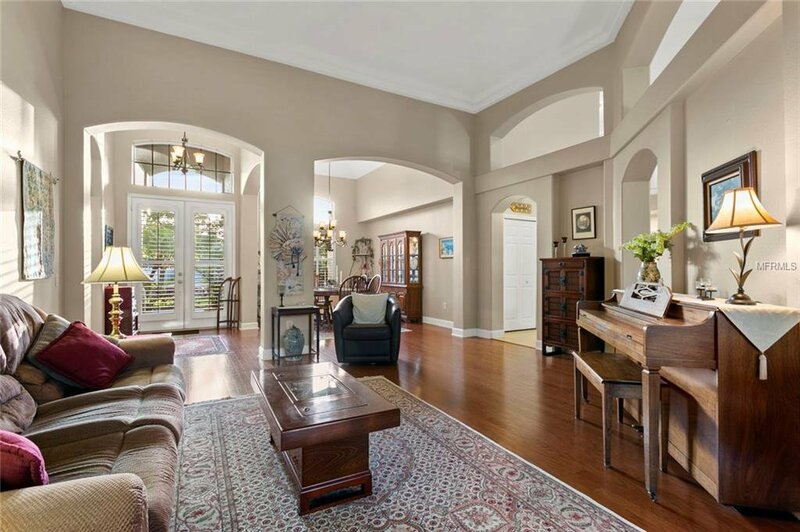 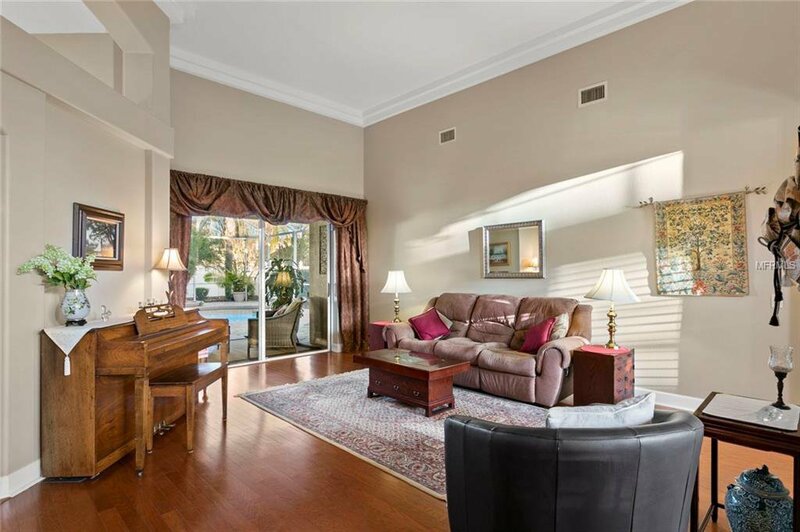 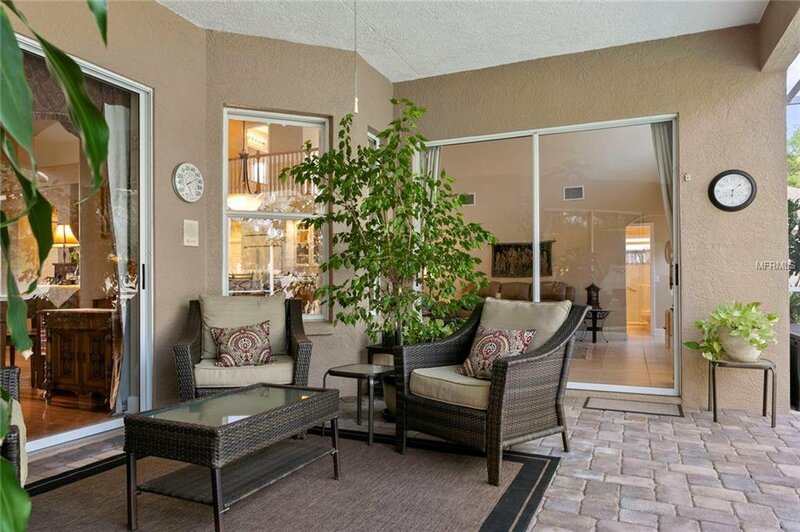 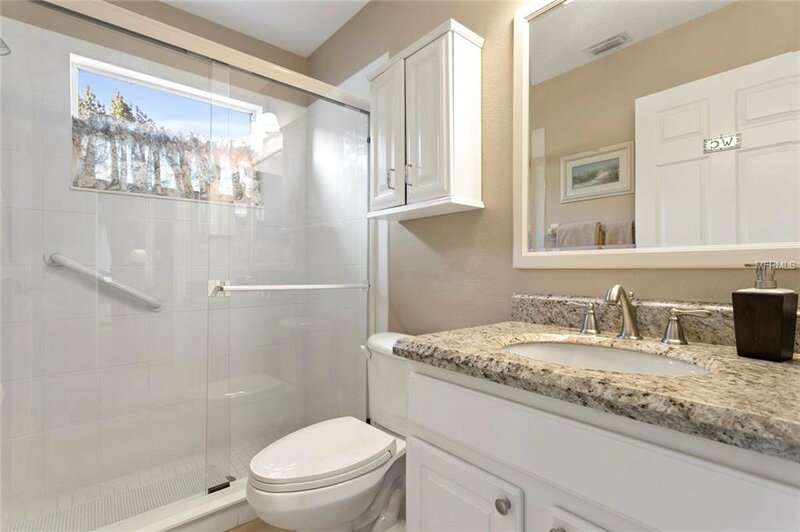 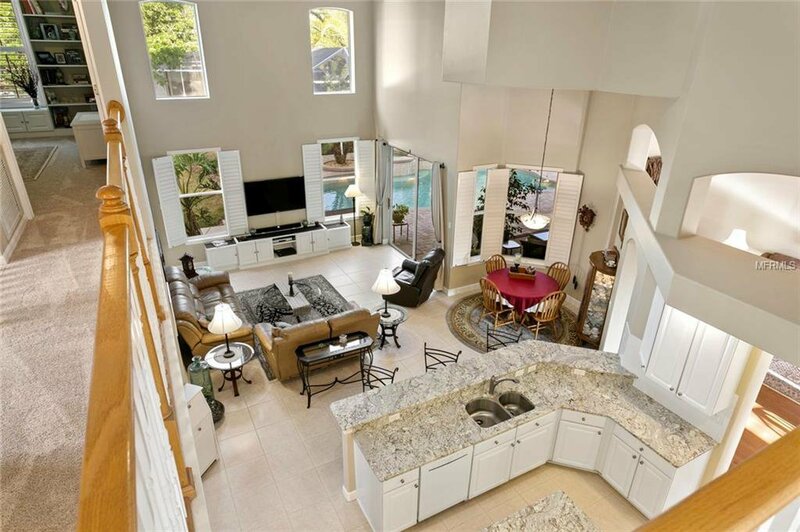 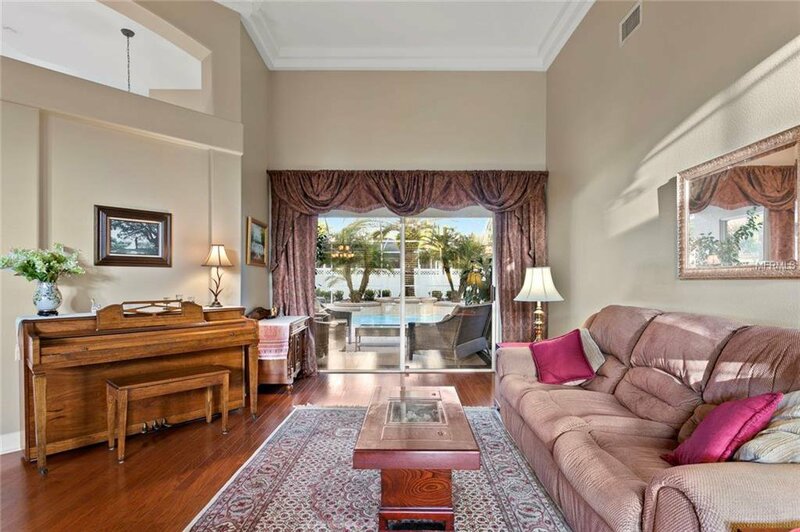 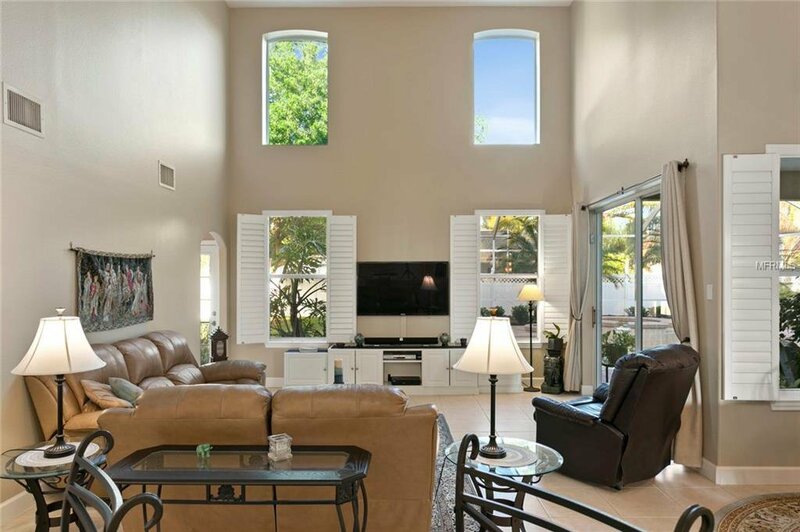 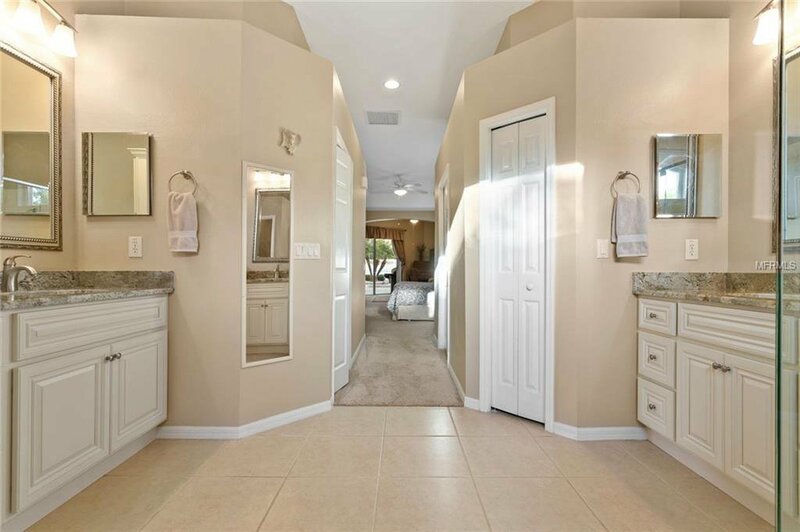 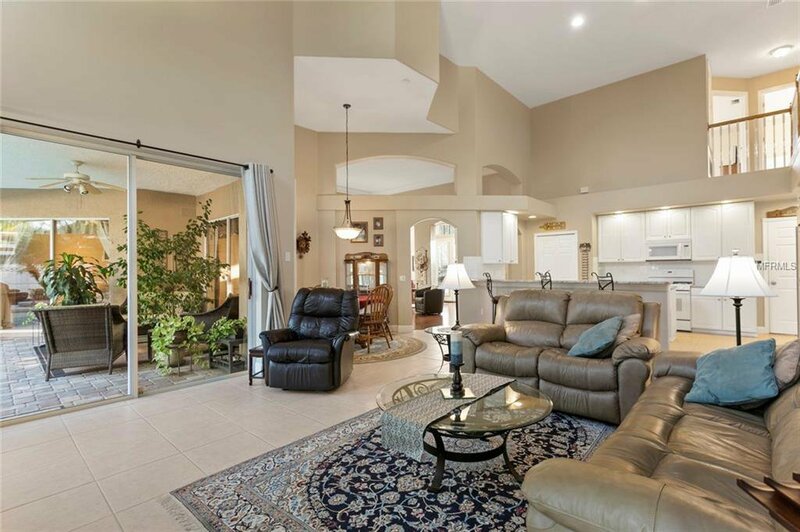 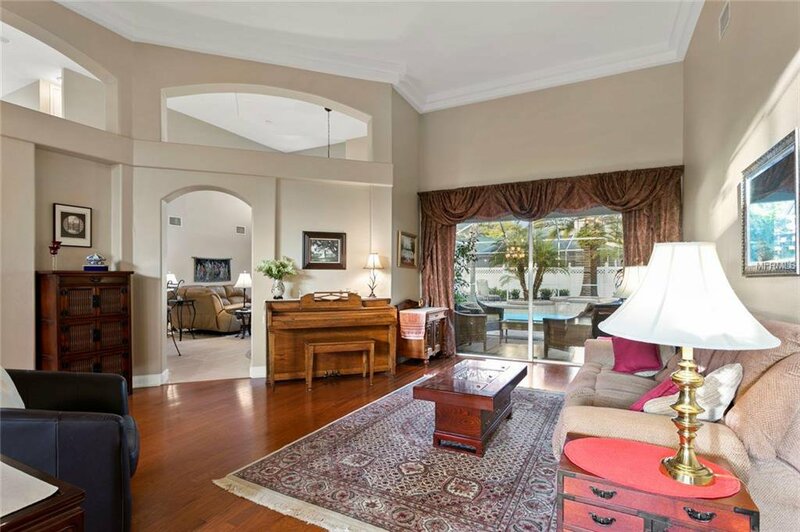 The master retreat is massive and offers a separate sitting room, 2 large walk-in custom California Closets and a light bright open master bath remodeled with a large walk-in travertine shower featuring expanded seamless glass enclosure and travertine around the Jacuzzi tub. 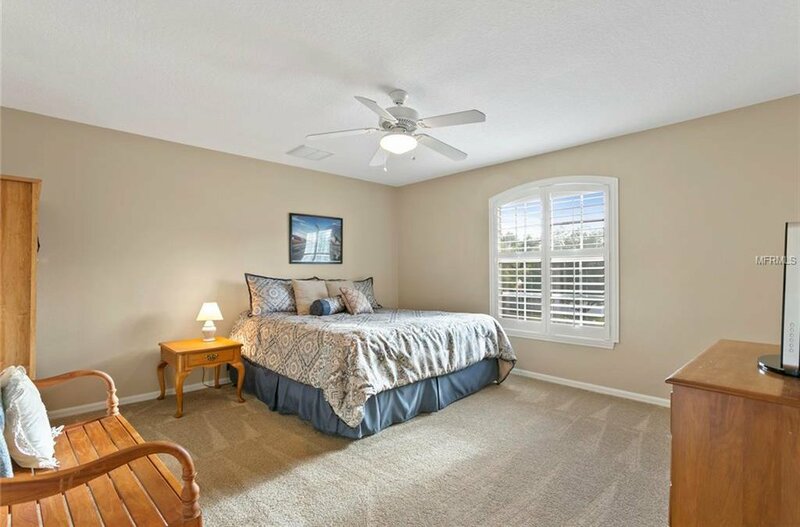 Ample storage with separate walk-in laundry room with a large storage closet and new built-in shelving in the upstairs bonus room. 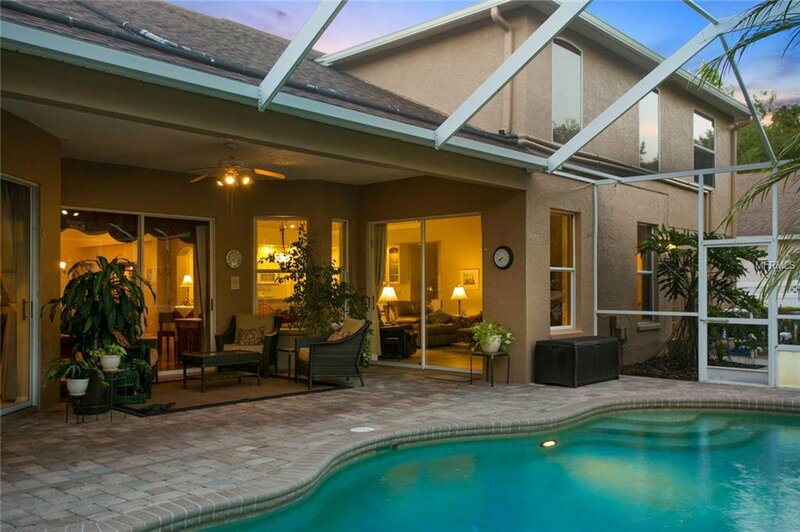 Relax on the luxurious pavered pool deck or enjoy the solar heated pool & spa. 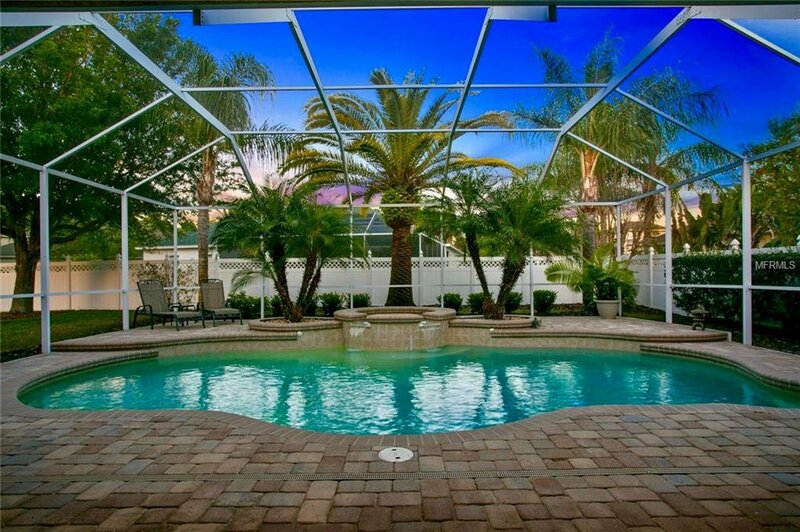 The elevated spa is complimented by palm trees and landscape lighting. 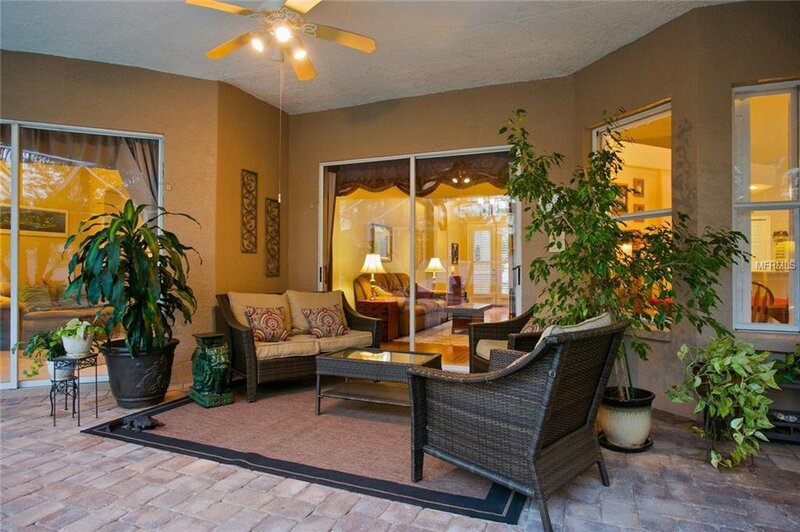 The large rear yard is completely fenced for the ultimate in private, quiet enjoyment. 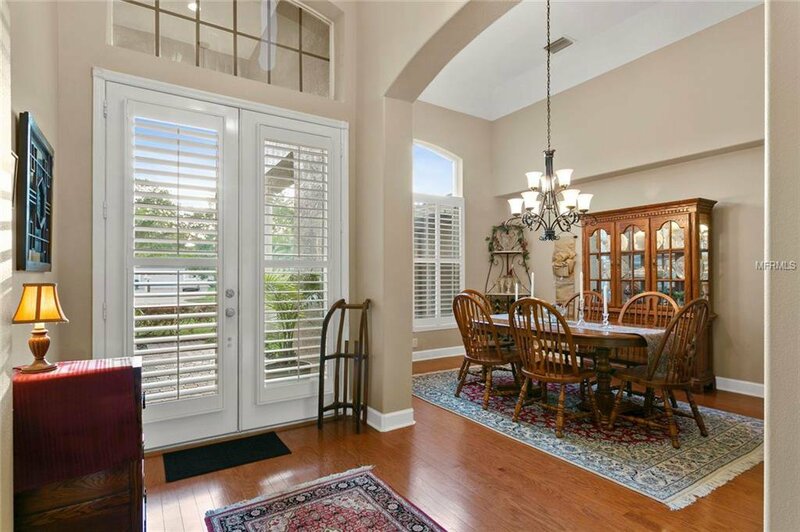 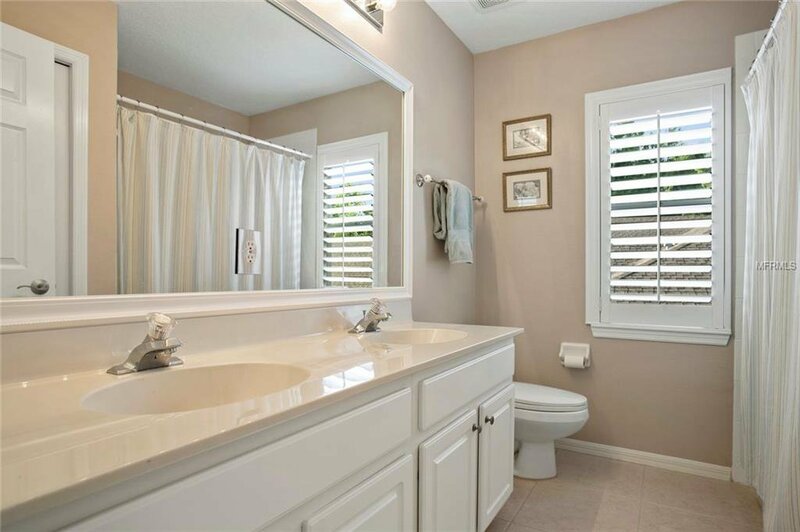 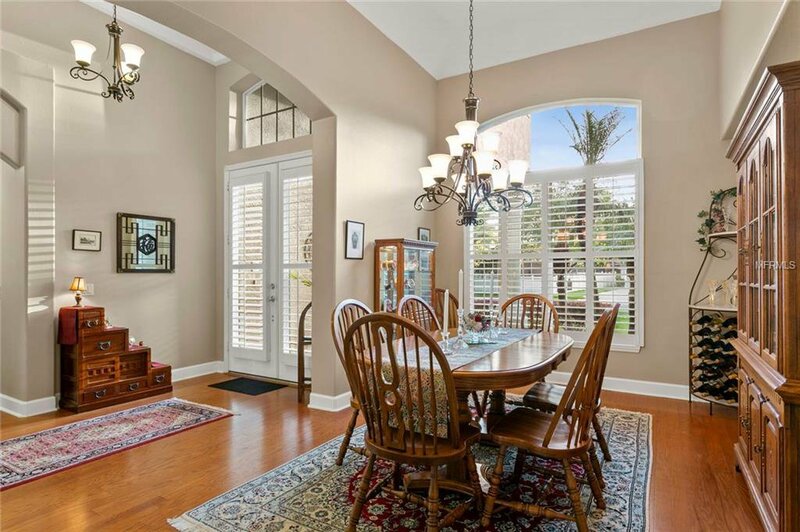 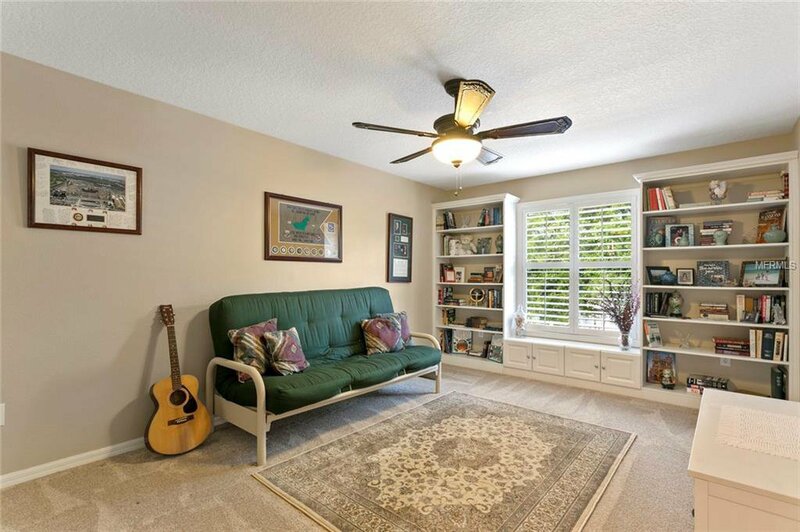 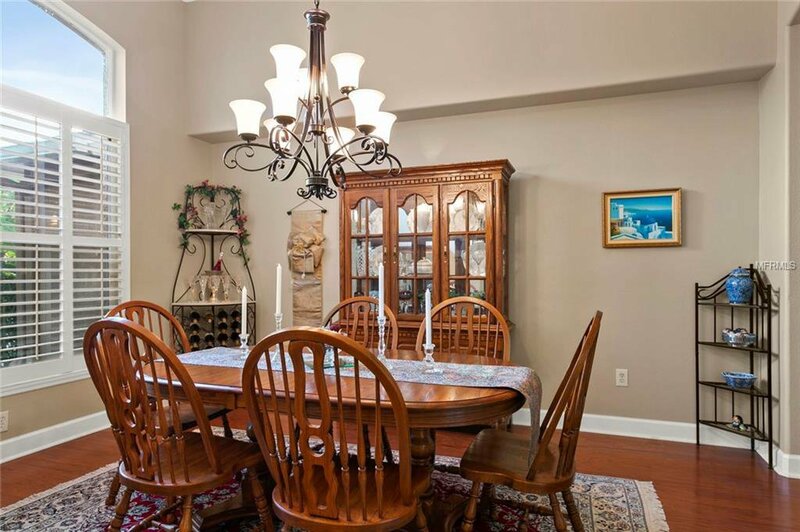 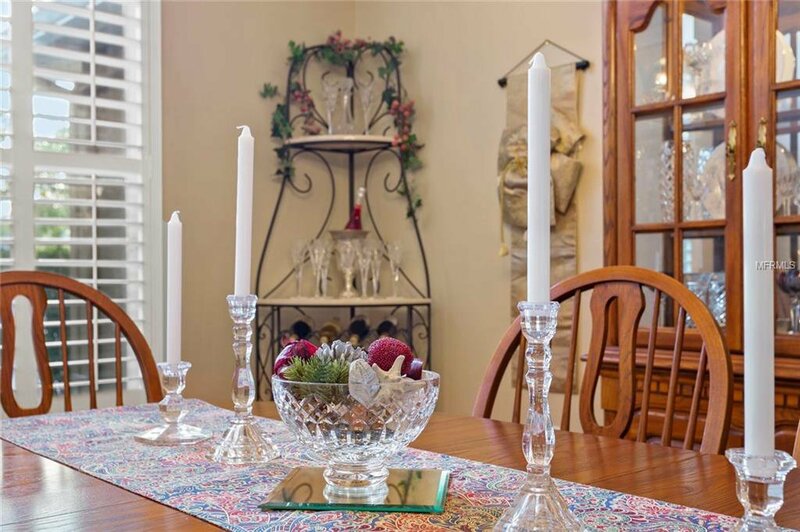 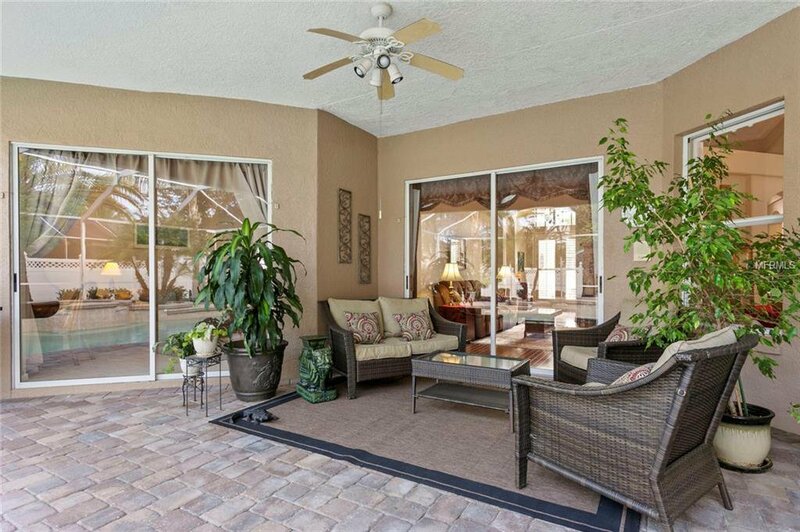 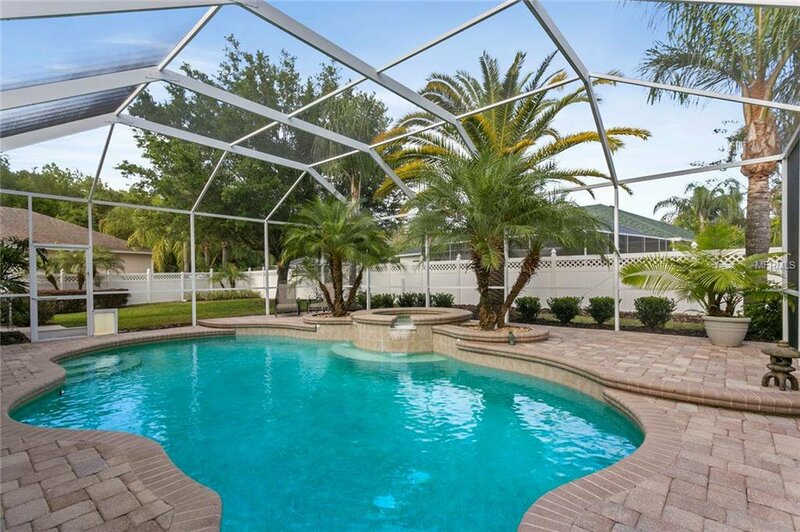 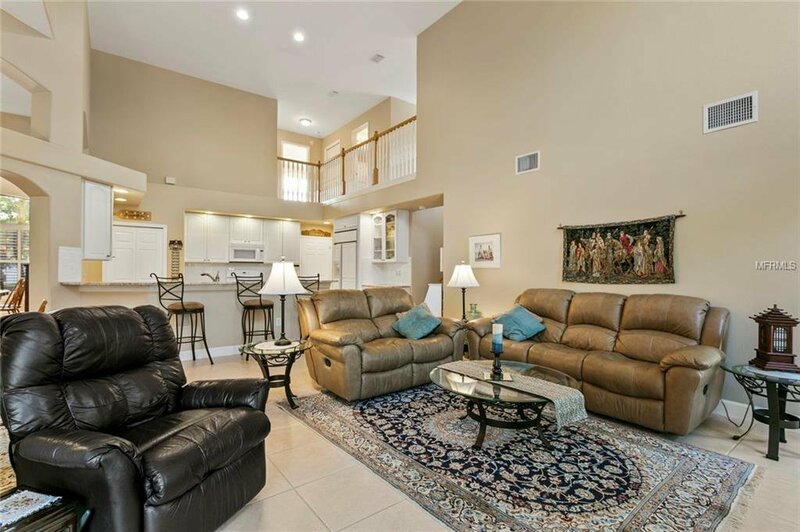 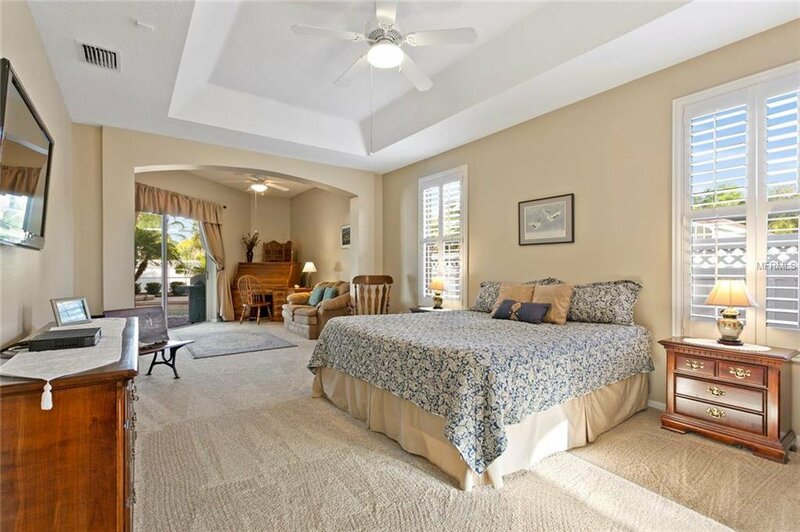 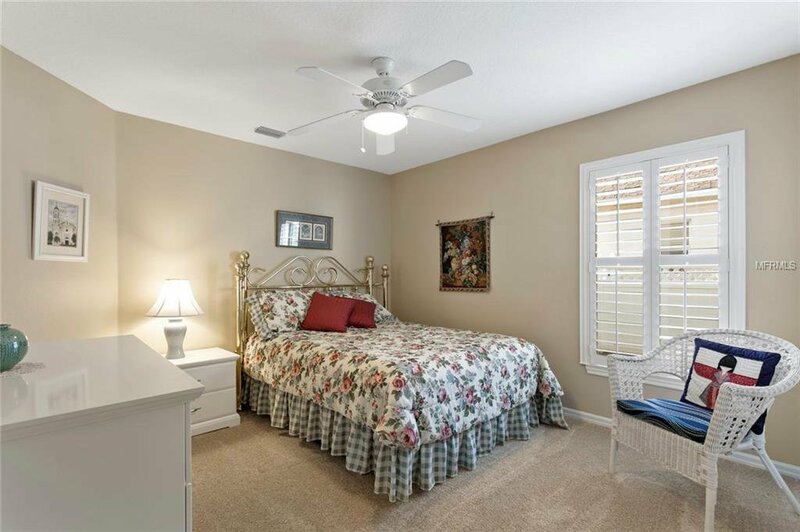 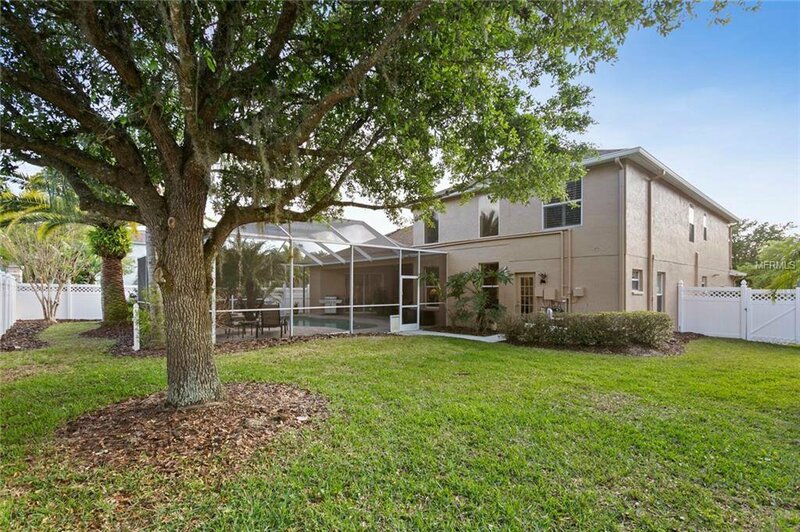 This gated village is walking distance to top rated schools, minutes to I-75, USF and Moffitt. 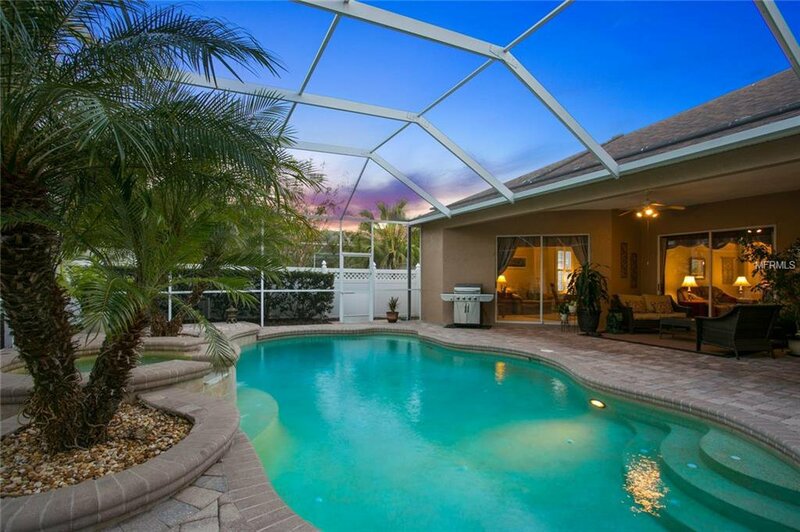 Membership to Club Tampa Palms included.